One-piece design effectively seals out moisture & soil and reinforced plastic construction will never corrode or deteriorate. Attractive, maintenance-free well finish looks and feels like real stone. Different egress-compliant window options, including slider & casement units. Installation meets code requirements for safe egress in a basement bedroom. Installing an egress window adds safety and brightness to any finished basement. Who says a basement can’t have as much natural light as an upstairs living space? 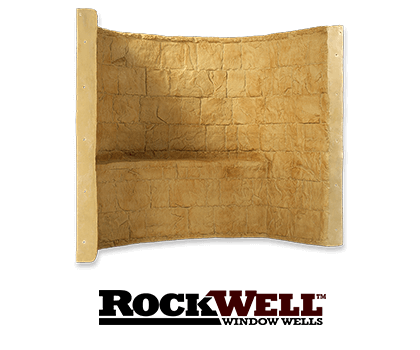 RockWell™ Window Wells are designed to dramatically increase the amount of natural light that comes into your basement. Installing the RockWell™ system will also enable you to meet building code requirements for safe egress in a basement living area. 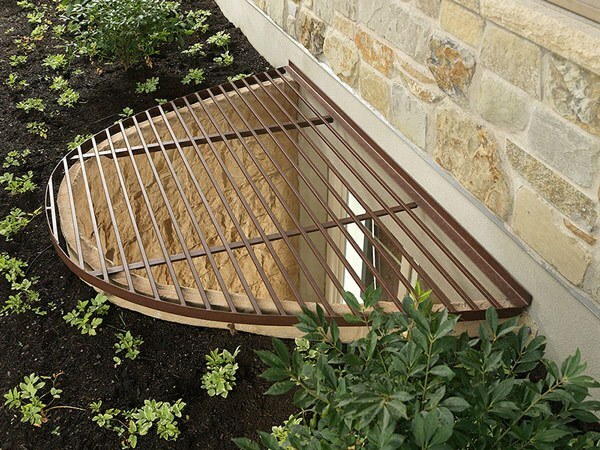 The RockWell™ basement egress and window well system consists of several premium-quality components. 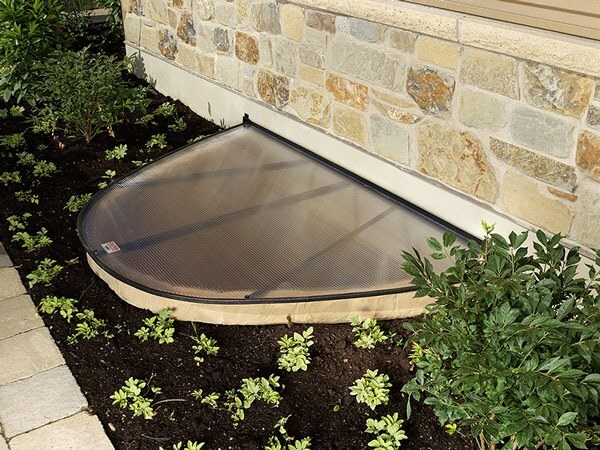 The oversize window well is a one-piece unit made from high-quality plastic that is reinforced for strength and durability. Mounting flanges on the well enable technicians to seal and fasten the well to the outside of your foundation, after the new window opening has been cut with a masonry saw. You may also want to order a clear plastic cover for your window well. 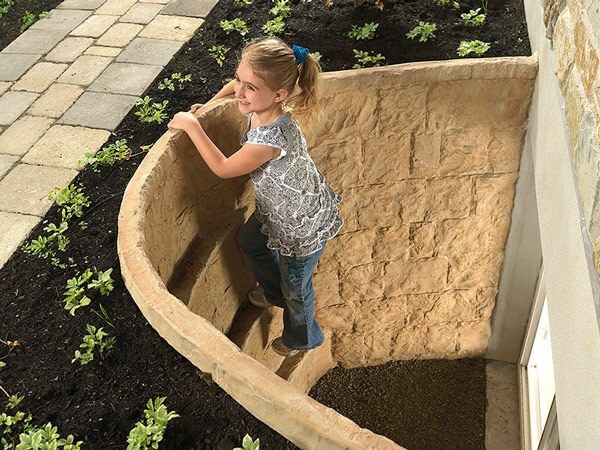 The cover will prevent children and pets from accidentally falling into the well, while keeping out pests and debris. RockWell® window wells are only available from a certified installer in your area. Contact us to schedule a consultation and get a free cost estimate to have a basement egress window installed in your home. 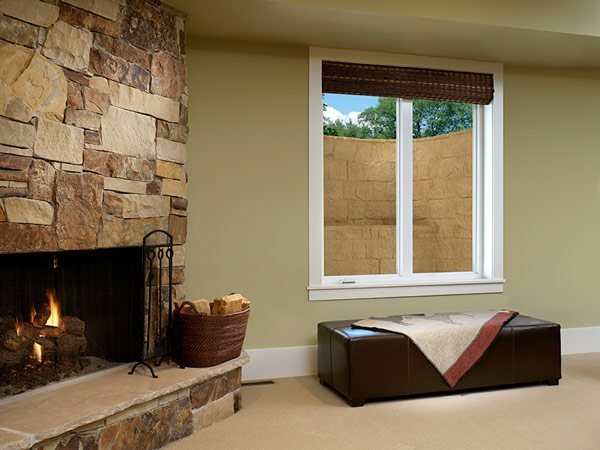 Your Basement Systems contractor will help you select the basement window products that meet code requirements. We recommend vinyl window units because they require no maintenance and can’t be damaged by moisture. 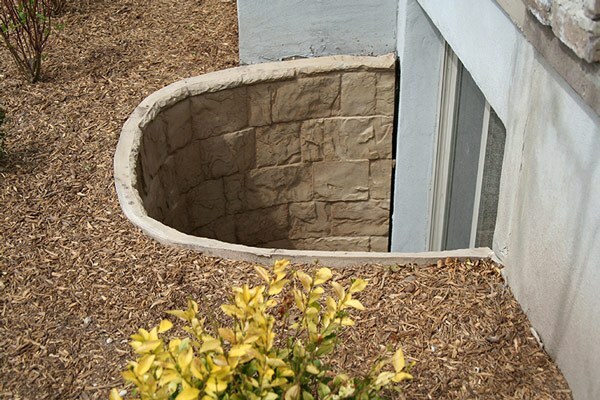 Do you need to replace or install a basement window well without an egress? 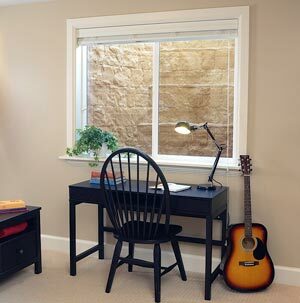 Learn more about our SunHouse basement window enclosure system.